Need a shipment alert system for notifying residents they have a package. Additional parking would be nice. Maintenance is really good as well as the cleanliness. The community is great and the apt itself has really nice finished. Only complaints are every time a neighbors closes there door, it slams and moves our door and makes lots of noise. The valet trash is pretty comvienent but extremely expensive; id rather not have that feature. Club area is really nice, feels a bit exposed opening to the apartments but a nice feature to have with the tv and pool table. Staff is always very friendly and responsive! Plenty of parking. Best community in Houston. Well maintained, close to Randall's and Starbucks. The apartments are big and very well maintained. Maintenance service is prompt. So far I have no reason to complain. The front desk/leasing office employees seem laughably incompetent. I don't understand how there can be so few employees for a complex so large? I have enjoyed my first month @ the Westheimer! The resident activities are fun and make the place feel like a community! Location is convenient! Thanks! The only thing I wish is if we were notified when packages arrive, so we know when they have to be picked up (vs having to track them yourself). My roommate and I have lived here for about a month, and we love the community. The common areas are kept very clean and there is not a lot of noise from the residents. We have only had a few issues with package delivery, but other than that we have been very satisfied. Great building, neighbors and friendly office staff. The maintenance guy is great but so busy that it takes about a week to get a maintenance request taken care of. I really love my communit, the location is great, and everyone is really nice. The location is in the heart of the city, and there are so many wonderful places to venture to. i love my community! Everything is really nice, but I wish the elevators weren't always blocked off for move ins, or either broken! everyone is great there. I have nothing to truly complain about. so far it's been an awesome living experience! i've only had two minor maintenance requests, and both were completed quickly. i've bet a few people in the elevators, and all of the guests are friendly and welcoming. i hope it stays like this! Great management staff who go out of the way to organize activities. Building is well kept and always being updated. Only thing is the "thin walls/floors" that will be nice if they can be more "sound proof" Great location. Overall experience is great. However, the leasing staff seems to be a bit unorganized. Signing the lease was a huge ordeal, I find random charges/credits on my account that were meant for other tenants, and the room where you receive packages seems to always be a mess. I've lived here for a little over two months now. The location is just perfect; walking distance to restaurants, fast food joints, coffee shops and grocery stores. In general the corridors and common areas are kept clean. Neighbors are friendly and quite. The parking garage is spacious. On the other hand the community can be somehow unsafe, because the gates always break down! The gym is good, but missing some basic equipment (e.g chest bench)! Clubroom and social longe are amazing but their hours are totally inconvenient. Finally the elevators are slow and very frequently not in service because of residents moving in/out! Overall its a convientient place to live in, nice and friendly staff; if only those issues are addressed it will be a one of the best apartments around. The leasing agents at The Westheimer are so helpful and professional. They showed me multiple units, repeatedly, to help me make the best decision. I love the Westheimer, the apartments are affordable and very spacious! I definitely recommend that all of my friends try to live in this building! I absolutely love this place! It has been the best in House so far! The personnel are awesome and get everything done quickly! I recommend living here! The staff is very friendly and the grounds are kept up well! The only thing I would recommend is high-pressure washing the stairwells since some pet parents aren't very responsible with their pet's waste. Over all I enjoy living at the westheimer but there are a few things that I do not like. The main issue is that even though bikes have been stolen multiple times and the staff promised that the bikes racks would be moved to a safer part of the garage, nothing has been done. However I do enjoy the yoga classes and I love my actual apartment. Overall it's been decent, It's very expensive and although I'm ok with that, I would expect to be able to pay my rent online but there are always issues with that. The office staff doesn't seem concerned for the residents or really engage with them when they are around. They are also not very understanding or willing to assist if it's something that would require thinking outside the box or putting in extra effort. Staff is very helpful. Never have problems with the office. Complex is kept up to date and has renovations for constant improvement. The leasing process was very straightforward. I also love the 15 month leases! 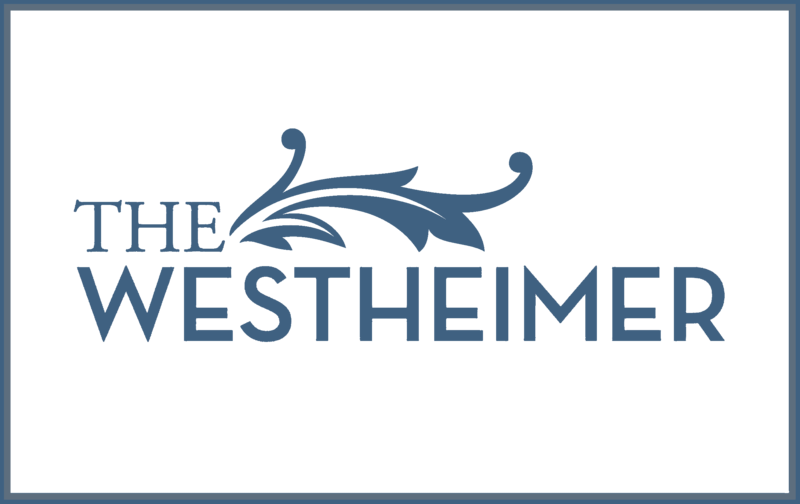 Although I've only been here only a few months, I consider myself a person of discerning taste so it is without reservation that I tell you that the Westheimer is a wonderful little community. Moving to Houston from Florida, I realized that I was going to be in for a big transition, but the team at the Westheimer made sure to make every aspect of my move as painless as possible. Arriving to my apartment for the first time, I felt dwarfed by how high the ceilings are, an absolutely wonderful feeling transitioning from my tiny little college dorm. The apartments themselves are beautiful without being garish, paired wonderfully with a convenient location next door to a plaza that includes a dry cleaner, grocery store, and Starbucks. They are installing a yoga and game room, a welcome addition that signals to me that the apartment owners are not resting on their laurels. If you're going to be new to Houston or are looking for an upgrade in your way of life, the Westheimer should be your next home. I've lived in several apartment buildings in Houston, and the Greystar community at The Westheimer has by far been the best. They're kind and hospitable, process work orders extremely rapidly, and are renovating the complex regularly. I would stay here for a long time! Overall, I am pleased. Staff is friendly and quick to help. The occasional request to assist with noisy neighbors went unheard but that's all.